Not ready for a full time coach? Try a customized training plan! Our Training Plans are Champion Tested–Podium Approved. Plans are written in Training Peaks and include an account with plan purchase. If you are having trouble choosing one of our training plans, PLEASE CONTACT US. 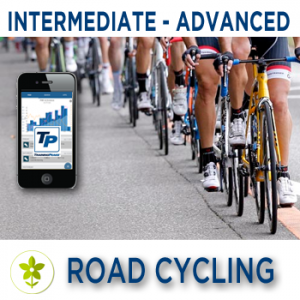 A 8 week plan designed for the Cyclist or Triathlete who trains with power, HR (Heart Rate), or RPE (Rate of Perceived Exertion) and can train around 11 hours per week (excluding Rest Weeks). 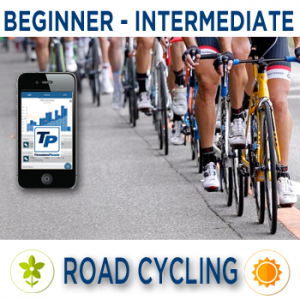 You will need to be able to devote up to 4 hours of training on your weekends. Weeks 4 and 8 will be Recovery and Test Weeks. This is a Prep and Race Plan, so includes a Race Week Schedule for Saturday and/or Sunday Races as well as No Race and can be used by non-racers as well. Our Spring plans build on the fitness you maintained and hopefully gained over the winter and incorporates FRC (Functional Reserve Capacity) work that you will need for early season races and rides. We will work on your NP (Neuromuscular Power)/Sprinting and your short AC (Anaerobic Capacity) Power, which are two important training zones you need for those early season events. Of course, you’ll continue improving your FTP (Functional Threshold Power) with more and more work right at your FTP with some of my favorite FTP Workouts!